The name Ringworm might give a false idea that the infection is caused by a worm, but it is actually a fungal infection. Its medical name is Dermatophytosis, and can be caused by three different types of fungi. These fungi are known as Microsporum, Trichophyton, and Epidermophyton. To gain a better understanding of what ringworm is, and how to deal with it, I’d recommend watching the video below. We have fungi that live on our skin, however sometimes they can grow out of control, especially if we have been near dirt or soil. These fungi can live in the soil for long periods of time, and humans and animals can contract ringworm if they come into direct contact with this soil. Children and pet owners are especially at risk as they are more prone to coming into contact with the soil that may contain these fungi. Since ringworm is contagious, the infection can spread if others come into contact with those that are infected. Ringworm usually develops on one part of the body, and may even spread to other parts. Red patches appear on your skin. These may be itchy, scaly, or raised like a bump. Patches that resemble a ring (perhaps the origin of the name). These ring like patches may be redder on the outside. 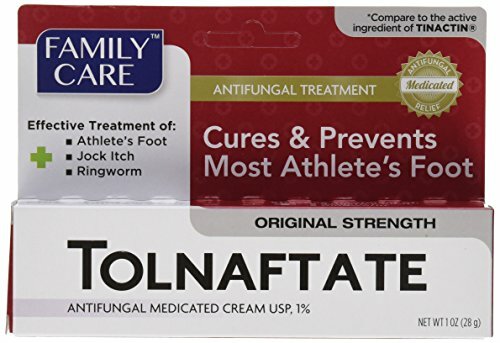 Red bumps that turn into blisters (blisters are often formed when ringworm develops on the feet, which is also known as athlete’s foot). Ringworm can appear almost anywhere on the body, even areas such as the scalp and nails. If you develop bald patches, it could be an indication that you have contracted ringworm. If you have the infection on your nails, you would notice that they become thicker and more discoloured, and may even start to crack. As always, the best option for any infection or condition is a trip to the doctor as they can accurately identify, as well as give you counsel on ways for treatment. However, if you opt for trying out a few methods at home instead of the hassle of visiting the doctor, we can help you out. Here is a list of the best home treatments for ringworm. Not only can you use garlic to treat ringworm, you can even make some garlic bread while at it! But jokes aside, garlic is known to be a superfood for many reasons. Garlic is highly dense in nutrients, and is known to reduce blood pressure and cholesterol levels. It contains antioxidants and compounds that are useful for medicinal purposes, so it’s no wonder that it was treated mostly as a medicine in ancient civilisations. Garlic is also naturally equipped with an anti-fungal agent known as Ajoene, which gives all the more reason to use this home remedy. Gather some garlic cloves (the fresher, the better) and either cut in thin slices or crush and mince to make a paste. Wash the affected area with or without soap and dry. After the area has dried, apply a desired amount of garlic slices or paste over the area and cover with a bandage or wrap. Leave on for at least an hour but no more than two, as long exposure may start to irritate the skin. After the removal of the garlic, clean the area with warm water. It may be better for the skin if you apply some kind of oil or aloe-vera in order to prevent itchiness or irritation in the area. Try to repeat this process twice a day for best results, and although consistent and frequent treatment is required, keep in mind that overuse could lead to irritation and discomfort. The worst thing you could do is damage your skin further, so if irritation, discomfort, or swelling occurs, discontinue immediately and go see a doctor. If no problem occurs, noticeable results could occur in as early as two weeks. This acidic solution has greatly risen in popularity due to its uses in cooking and home remedies. Apple Cider Vinegar is made by fermenting the sugars found in apples, which turn into acetic acid, the compound that distinguishes it as a vinegar. In the health and fitness community, it has been hailed as one of the best remedies for aiding blood sugar levels, cholesterol, weight loss and even for reducing some symptoms of diabetes. Apple cider vinegar can also eliminate bacteria and is used for other remedies such as treating ear infections, warts, and lice. Although these remedies have not been backed up by scientific research, a lot of people claim and back apple cider vinegar for its usefulness in home remedies, so it couldn’t hurt to try using this home ingredient to treat your ringworm infection. Before using this remedy on areas affected by ringworm, spot test it on a patch of healthy skin to ensure that your skin does not react negatively to it. Apple cider vinegar is acidic, so skin irritation is a possibility. If this happens, either use a diluted solution or go for another remedy. Be sure to clean and dry the affected areas before applying the remedy. To apply the apple cider vinegar, you can choose from either a cotton ball or a clean cloth. Soak the cotton ball or cloth with the vinegar, and then apply it on the infected area. Leave on for around 20 to 30 minutes, and repeat three times a day. You may see results in two to three weeks with consistent application. To maximise the chance of success, opt for using organic apple cider vinegar as the organic solution will contain more of the properties that make it so useful. If you’re not still not convinced that garlic or apple cider vinegar will treat your infection, this will surely be the remedy you’ll want to try. If you decide that tea tree oil is your go to solution, simply use a cotton ball or a clean cloth to apply the oil on the affected areas. Alternatively, you can either choose to dilute the oil with some warm water or prepare a solution that contains tea tree oil along with other anti-fungal oils (oil of oregano jojoba oil are good examples). This idea of using a mix of anti-fungal oils may be extremely beneficial, especially if your ringworm infection is stubborn. Continue to use this remedy for about four weeks and you may be satisfied with the results it produces. Turmeric is well known as a spice in some cuisines, and turmeric powder is believed to have potent benefits. Just like the previous remedies, this one is also known for its anti-fungal and anti-inflammatory properties. Use a juicer to extract the juice from fresh turmeric pieces. Like always, clean your skin and let it dry before applying the remedy. Use a cotton ball or a clean cloth to apply the turmeric juice onto infected areas and leave for 20 to 30 minutes. Repeat 3 times a day for a few weeks to see if improvements occur. If you see progress, continue with the treatment. If you don’t see any improvements using turmeric, you may want to use an alternative method or visit a health professional. The remedies mentioned above are the most common and perhaps the most effective; however if you are looking for alternative solutions, the video above will give you some ideas as well as instructions on how to apply them. The vinegar and salt paste is perhaps the easiest of these as the materials required can easily be found at home. The methods to use these ingredients are the same as for the previously mentioned remedies. Lemongrass tea is unique as the remedy is not to apply lemongrass tea on the skin, but to drink it three times a day. It is difficult to believe that just drinking tea will help treat ringworm, but it can be used as a supplementary method while using another treatment. In case these remedies do not work well in treating your infection, there is always the option to consult a doctor. It might not even have to come to that, as a number of non-prescription medication are available for treating ringworm. Simply go to the nearest pharmacy and ask for some over the counter creams. Compare to the active ingredient of lotrimin. You will receive 6 of the big 1 oz tubes. Compare to the active ingredient of Tinactin. If your infection proves to be stubborn and refuses to go away even after using these over the counter products, you may have no choice but to consult a doctor. Your doctor may recommend a stronger prescription cream such as Ketoconazole, or may prescribe anti-fungal pills. Regardless of what your doctor prescribes, it is important that you stick to the full course of the prescribed medicine to prevent the infection from returning even after the symptoms have cleared. Wash your hands after playing with an animal, and keep your pet’s living areas clean and disinfected. Be careful if you have skin injuries or abrasions, as this puts you at a greater risk of contracting ringworm. Avoid walking barefoot, especially in public areas such as public pools and showers. Furthermore, you’re more likely to contract ringworm if you come into contact with the fungi while wet. Last but not least, avoid sharing personal items such as clothing or hairbrushes, and clean these items as frequently as possible in order to keep the fungi at bay. So there you have it! The best remedies for ringworm that you can conjure up from home. There’s one thing to remember when trying these methods and that is to be patient. These remedies are unlikely to treat your condition overnight, as even prescribed medicines generally take at least a week or two to eliminate ringworm. These remedies may even take longer, or may not work in some cases, so only proceed to use home remedies if you are patient and willing to make use of the treatment frequently and consistently. i really like the way you have mentioned all the things and problems in details with their solution. thank you for sharing this. Thanks for this post, it’s very helpful. My husband and I took Albendazole (got it from “Verm2get”, just found in Google) and it certainly works! We knew we had them, but we were even blowing them out of our noses, eeeuuu, so gross! Is it worth it? YES, yes it is, especially if you consider the thoroughly disgusting alternative. This medication is very hard to get and very expensive, but after waiting a long time and getting it from internet (way cheaper…), rather than my doctor. I was able to control the parasites and able to eat more freely.